My third visit to Siwa and reassuringly little has changed. The ‘Tuk tuk’ is starting to take over from the donkey and cart and these seem to be driven by pretty well any lad over about the age of 12. Motor bikes riden slowly potter around mingling with cars, trucks and donkeys in what appears complete chaos, yet nobody comes near to a collision, nobody wears a helmet and everybody smiles at each other. It really is a delightful place. Siwa developed in isolation to the rest of Egypt, cut off by its inaccessibility lying roughly 200 miles south of the coast and close to the Libyan border. 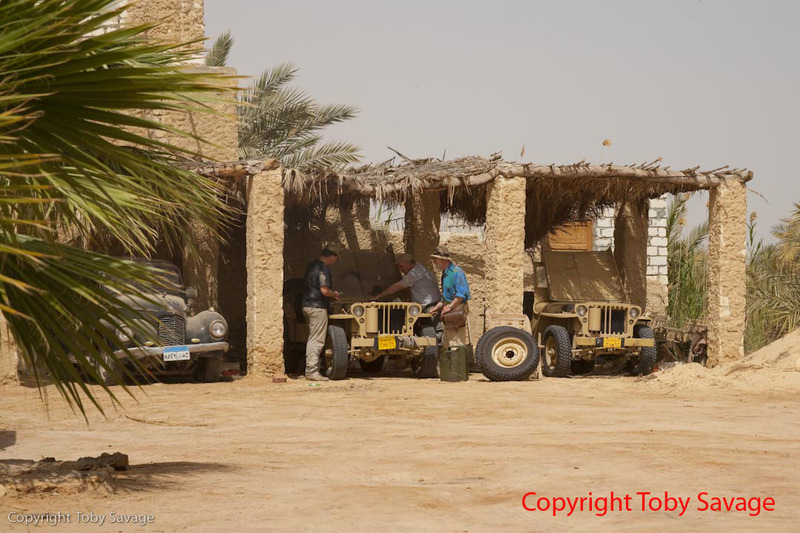 We stayed firstly in The Desert Rose Hotel where an old Hillman Minx was in the garage that served as our service bay. 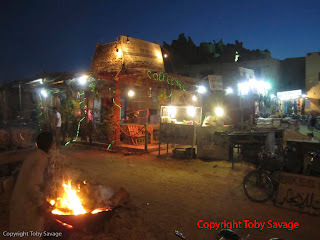 We then moved on the The Siwa Paradise Hotel in town. Both had an air of complete calm. Photos show our service bay at The Desert Rose and Siwa by night when it really comes to life. We are now in an hotel 60 km west of Alexandria where we were enjoyed an Ice Cold near Alex moment and our first acquaintance with beer for 10 days. Today we head back to Cairo and Mena House Hotel to end the Expedition. Both Jeeps stormed the run north from Siwa yesterday running continuously at 50 mph without faults. You have to think that the Hillman Minx might one day run again. I wonder if, in 50 years time, an abandoned VW Golf will make it back to the road. 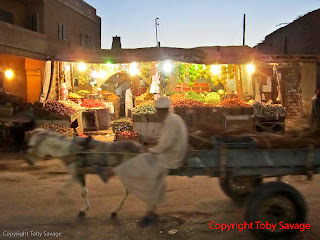 Meanwhile, as you drive back towards what is probably erroneously described as 'civilisation' (love the look of Siwa!) I bet you are all feeling as triumphant as doubtless Bagnold, Stirling and John Mills always did! Sam, John and all the crew. I've followed the trip with much interest and poorly hidden envy. Well done and a big thank you to everyone (including the Jeeps) for a great show.